We can consider a variety of Philosophical questions about art and art criticism, ranging from questions about the definition of what art is to questions about the aesthetic status of forgeries. Much talk about art by artists, critics and interested spectators is confused and Illogical. Employing philosophical rigour and insisting on clarity of argument in this area can only improve matters. As in all areas of philosophy there is no guarantee that clear argument will provide convincing answers to the difficult questions, but it does increase the chances of this happening. The important question about authenticity which raises philosophical issues is that of whether an original painting is of any greater artistic value than a perfect forgery. Here it will be just considered forgeries of paintings, but there can be forgeries of any type of artwork which is a physical object: for instance, a sculpture, a print, a photograph, and so on. Copies of novels, poems and symphonies, are not thought of as forgeries. However, original manuscripts can be forged, and imitations written in the style of a particular author or composer can be passed off as genuine. To begin with it is important to distinguish between different types of forgery. 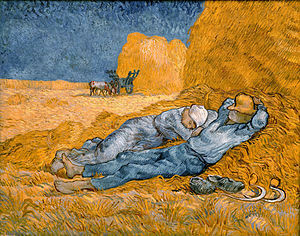 The two basic types are the perfect copy, and the painting in the style of a famous artist. An exact copy of Mona Lisa would be a forgery of the first type; the forger Van Meegerene’s paintings in the style of Vermeer, which in fact fooled most of the experts, are examples of the second type – there was no original from which they were copied. Obviously only the actual manuscript of a play, novel, or poem could be faced in the first sense. However, forgeries of the second type, for example of Shakespeare’s plays, could be made by someone cleverly imitating a writer’s style. Should forgeries be treated as significant works of art in their own right? If the forger is capable of producing work which convinces experts that it is by the original artist, then surely the forger is as skilled as the original artist and should be treated as that artist’s equal. There are arguments both for and against this position. Perhaps it is only the financial concerns of the art world, the obsession with how much a painting is worth, which makes people prize originals over good fakes. If there is only a single copy of each painting then the art auctioneers can sell each painting for a very high price as a unique object. If there are many copies of a painting, then the price of each copy is likely to drop, especially if the original is not considered any different in status from the copies. This would in effect put paintings in the same position as prints. Or else perhaps it is not just the financial aspect of the art world, but also the snobbery of art collectors which leads to the emphasis on original paintings rather than copies. 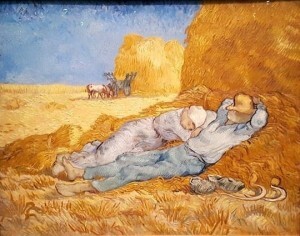 Collectors enjoy owning a unique object simply as a matter of snob, rather than artistic value. Another motivation for owning originals is to do with their appeal as relics. Relics are fascinating because of their history: an original Van Gogh painting may be prized because this was an object which the great painter touched, paid attention to, put his artistic effort into, and so on. Price, snob value, and value as relic, have little to do with artistic merit. The first is to do with rarity, the fluctuations of collectors’ tastes, and the manipulations of the art dealers; the second is a matter of social rivalry; the third psychological, to do with the way we treat objects. If these three factors explain the causes of the widespread preference for original works of art over good forgeries, then perhaps good forgeries are really just as artistically significant as originals. However, there are several strong arguments against such a view. One reason to prefer originals to fakes is that we can never be certain that a fake is really a perfect one. Just because a forgery of a Van Gogh painting is good enough to fool the person now, it does not mean that it will fool future experts. If differences can become visible at a later stage then we can never be sure that a fake is a perfect one. So, even if we believed that a perfect fake would be of equal artistic merit to the original, in any actual instance of a fake we will never be certain that the fake is really an accurate copy. Against this view is worth pointing out that the kinds of difference between fake and original which are likely to emerge will usually be very minor. It is implausible to suppose that they will very often be of a kind to alter substantially our views of the painting’s artistic worth. Even if someone managed to produce a painting which couldn’t be told apart from one by, say, Paul Cézanne, this is a very different achievement from that of Cézanne himself. Part of what we value about Cézanne’s achievement is not simply the production of an isolated beautiful painting, but rather the way in which he created an original style and a whole range of paintings. His originality is part of his achievement, as is the way the different paintings he produced over his lifetime contribute to our understanding of each individual he made. We can only fully appreciate his artistic achievement if we can place each painting in the context of his entire output. 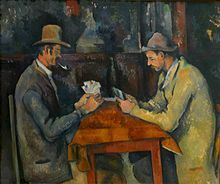 Now, whilst a forger may have the mechanical skills as a painter that Cézanne had, Cézanne’s achievement should not be reduced to his skill as a craftsperson. The in his slavish copying can never hope to be a great painter, because the forger cannot be original in the way that Cézanne was. 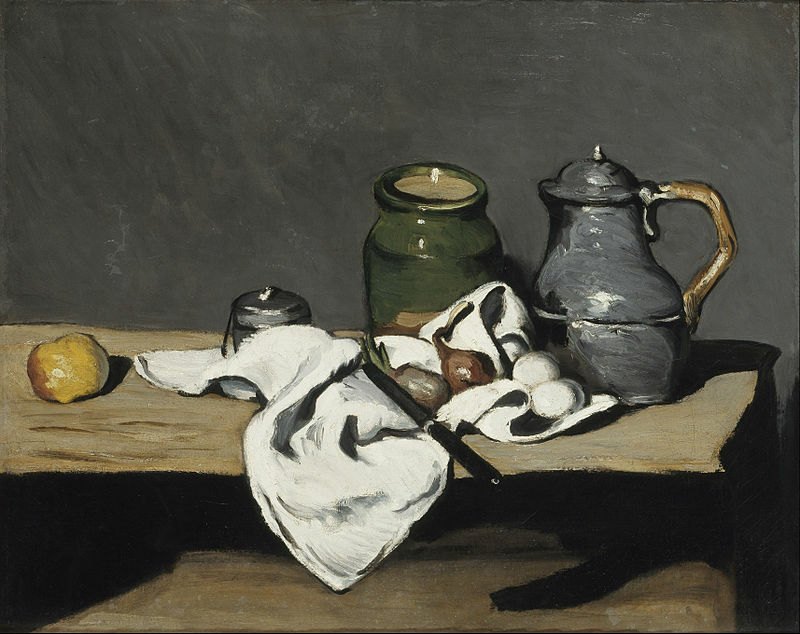 In the case of a forger producing works in the style of Cézanne (forgeries of the second type) rather than actual copies of real paintings, there might be more grounds for comparing the forgeries’ artistic merit with that of Cézanne’s paintings. But even in such a case the forger would be copying a style rather than creating it, and we tend to value the creativity of the original artist over the skill of an imitator. Creativity is an important aspect of artistic merit. What this shows is that we certainly should not consider the forger as the equal of the original artist just because he or she is capable of producing a convincing forgery. But even so, with the case of a copy of an original painting, we could still appreciate Cézanne’s artistic merit through looking at the copy. So this is not an argument against the artistic value of forgeries but against the artistic merit of forgers. The copy would allow us to see evidence of Cézanne’s genius, not the forger’s. What is really wrong with forgeries is that by their nature they involve an attempt to deceive viewers about their origins. A forgery would not be a forgery without the intent to deceive: it would be a copy, or an experiment in painting in the style of another artist – what is known as pastiche. It is partly because of the deception involved — the equivalent of telling a lie – that forgeries are inferior to originals. However, there may be good reason for keeping some moral and artistic questions separate: even is a brilliant forgery involves deception, it may nevertheless still be impressive as a work of art.